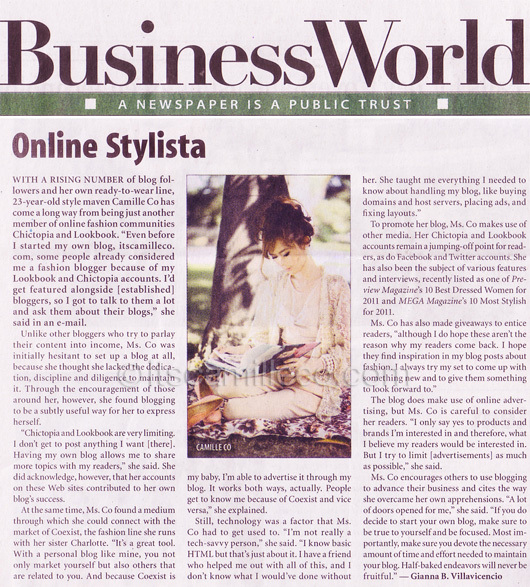 Local broadsheet, Business World, did a short feature on me that came out last August 2. I never thought in a million years that I’d one day come out in this paper. I mean I just never thought anyone in their publication would pay attention to what i do, so thank you, Business World! :) Digital marketing really is on the rise!